What’s a Book Token and how do they help me? 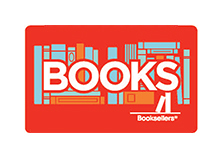 Booksellers Tokens are sold to you by Booksellers NZ at a discount and you then sell them to customers for use as a gift to family and friends. As a member you can accept Book Tokens from a customer wishing to buy books at your bookshop. You can also sell gift cards which are also sold by third parties but which can be redeemed only at Member bookshops. Find more information about what benefits are available to members of Booksellers NZ. How can you help me start my business? Booksellers NZ can provide introductions for you to inventory management and web site providers with e-commerce facilities. Our membership also includes access to very competitive merchant bank rates, competitive premiums with a major insurance broker, and allows you to sell Book Tokens and Gift Cards in-store. You can also join Retail New Zealand at a reduced rate by being a Member of Booksellers NZ, giving you access to employment advice and much much more. How does the industry work as it pertains to booksellers? There are a number of different types of booksellers. Most booksellers sell general titles suited to their own community of customers, newly published by established New Zealand and International publishers who have bought the rights to publish from the author. They may also purchase books from self-published authors. There are also specialist bookshops selling new titles, such as children’s bookshops. They operate with publishers in the same way as those selling general titles. There are also many second-hand and rare booksellers in New Zealand.These booksellers mostly sell books that have been given to them, or that they have bough because of their value on the national and international second-hand and rare books markets. Some of these also sell new books and engage with publishers as bookshops that sell only new books. Publishers will sell on the basis of Sale or Return (SOR) or by Firm Sale. SOR, as the title suggests, means that any unsold stock after a set period (3 or 6 months is common) may be returned for credit from the Publisher. Firm Sale indicates that you must keep the stock purchased and have no way of getting credit for it on return. Publishers usually establish a recommended retail price (RRP) which they then discount to the retailer – the discount being the booksellers’ “margin” - i.e. the profit. There are a variety of discounts given by publishers, but on average they are 30-40%, depending on volume purchased. Very often, self published books will be sold on commission (or consignment): the bookshop will pay the self-publisher once the book has been sold. I think my Gift Card has expired: what can I do? Recipients of Gift Cards are expected to use these cards within 12 months of receiving them. However, there is an automatic 3-month extension on every card sold. This is a 'grace' period. Gift Cards are administered by ePay, and Booksellers NZ are not able to add extensions to these cards. If you would like to question ePay regarding the value or expiry of an individual card, please call their Customer Care line on 0800 649 999, and have ready the 11-digit number that begins with 2, and that starts under the long barcode on the bottom half of the card. I have an expired Book Token: what can I do? All current Book Tokens are issued with expiry dates, extending two years from the date of purchase. However, as Booksellers administers Book Tokens directly, there is a little bit of flexibility. If you are a member of the public hoping to use an expired token at a bookshop, please contact us by phone or email, and explain the circumstances in which it expired. We're pretty nice. If you are at a bookshop (and they are on this list), and you realise together that they have expired, please ask the store to call us directly. If your Book Token doesn't seem to have an expiry date, and you know it is fairly old, it's possible that it was issued prior to 2010. Book Tokens issued prior to 2010 never expire. If you are either a customer or store, please be assured that you may use and accept them. Where can I use my Book Tokens? Book Tokens are administered by Booksellers NZ, and can be redeemed in Paper Plus bookshops and most Independent Bookshops all over New Zealand. They cannot be redeemed in Online-only bookshops. Find our handy Directory with details here, and search for Bookshops in your region. Where can I use my 'Books' Gift Card? Our 'Books' Gift Card is valid for 12 months from its issue. While it is available for sale in retail outlets all over New Zealand, it may only be redeemed at participating bookshops. Here's our list of participating bookshops (searchable by region), which includes all Paper Plus stores and most independent bookshops in New Zealand.